Americans awoke to shocking news this morning, as we learned of the atrocity that had taken place in Christchurch, New Zealand. A white supremacist, who apparently hated Muslim people, has massacred at least 49 people and injured more than 20 others. One of the suspects, an Australian man armed with a semiautomatic rifle, kicked off the orchestrated attack when he stormed into Masjid Al Noor mosque in the center of the city and opened fire on Muslims who were there for Friday prayers. Ardern said more than 30 people were killed in the Masjid Al Noor massacre. Another shooting happened a short while later at another nearby mosque in the city, where at least 10 people were slain. It was not clear if the same shooter carried out both attacks. Thus far only one shooter has been identified, but the shooter along with 3 others have been arrested and are being questioned. The shooter’s name is Brenton Tarrant and he is an Australian man who previously worked as a personal trainer at a gym in the nearby city of Grafton. Investigators and the media have discovered a 74-page tirade that Tarrant has posted online explaining his beliefs. In the 74-page screed, titled “The Great Replacement,” Tarrant quoted a Dylan Thomas poem, “Do not go gentle into that good night,” before going on a rant about white genocide. He outlines his motivations, including to “create an atmosphere of fear” and to “incite violence” against Muslims. Tarrant also claims he had “brief contact” with Norwegian mass-murderer Anders Behring Brevik, who he claims gave his “blessing” for the attack. The manifesto explicitly states that the attack was motivated by white supremacy. To make matters worse, if possible, the shooter live-streamed the massacre as it happened. Disturbing video appears to show the gunman executing people inside the Masjid Al Noor mosque in Christchurch. Another video shows bodies piled up inside. Police are actively working to remove every vestige of the abhorrent event from the Internet, but know that this will be quite difficult. President Trump is among the many world leaders offering support and condolences for the people of New Zealand. 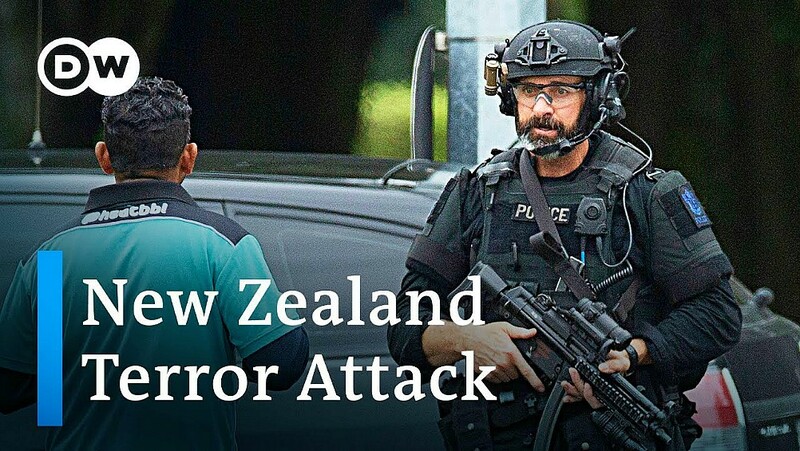 Every decent, moral American also offers their condolences to the people of New Zealand, and we pray for swift justice to the evildoers who took part in committing this terrible act. Living on the FringeWhen Will Republicans Unite and Fight?